CHM to HTML for Mac is a specially researched and developed software which provides Mac users an easy way to turn/change CHM files into common HTML format. 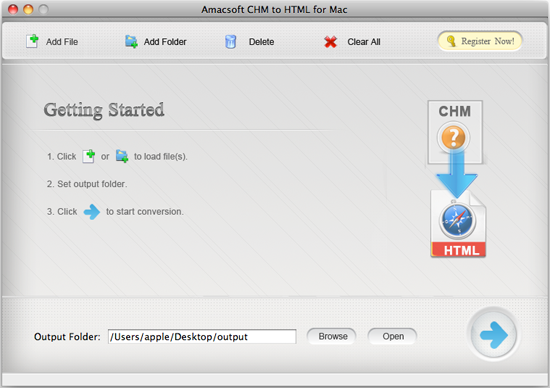 With this magical and innovative Mac conversion tool, users are able to extract and save HTML files from CHM (Compiled HTML Help) on a Mac for better use. 4. Output HTML files to be displayed in any Web browser and opened/edited with any basic text editor.